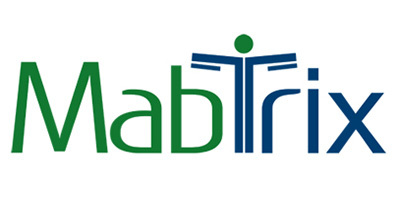 MabTrix is a preclinical stage biopharmaceutical company aiming to develop an innovative, function-blocking therapeutic monoclonal antibody (MAb) for inflammatory bowel disease (IBD) as the initial indication. The company’s mission is to develop a novel MAb that specifically inhibits enzymatic activity of matrix metalloprotease (MMP) 9 by binding to the catalytic site of the activated enzyme. MabTrix was established in the FutuRx incubator in December 2015. MMPs are a group of zinc-dependent enzymes that can irreversibly degrade complex substrates in the extracellular matrix, cleave chemokines, and participate in many homeostatic processes. These enzymes play an important role as initiators of signaling cascades, and their imbalanced activity is often associated with inflammatory diseases and cancer. MMPs show distinguishable substrate specificities, and contribute to epithelial and endothelial barrier disruption in IBD and enable immune cells to infiltrate tissues. MMP-9 is a multi-domain enzyme that plays crucial roles in inflammation and in tumor invasion and metastasis, and regulates signaling pathways that control cell growth, survival, invasion, inflammation and angiogenesis. MabTrix’ unique approach is based on a novel technology, leading to the generation of MAbs binding to the catalytic site of activated MMP-9. This strategy enables targeting the in-vivo activity of dysregulated MMP-9 by mimicking the natural mechanism employed by TIMP inhibitors that bind the active site. Along with the general superior specificity of MAbs compared to small molecules, this should increase selectivity to MMP-9 compared to other MMPs, thus minimizing unwanted adverse effects due to pan-MMP inhibition. Binding of MAb specifically to the activated form may also contribute to an improved safety profile and to high treatment efficiency by avoiding the ‘sink effect’ of binding to systemic non-activated MMP-9. IBD represent chronic incurable inflammatory disorders of the gastrointestinal tract. The two most common inflammatory bowel diseases are ulcerative colitis and Crohn’s disease, both characterized by an abnormal response to the body’s immune system and manifest by severe diarrhea, pain, fatigue and weight loss. IBD can be debilitating and sometimes leads to life-threatening complications. Current therapeutic agents consist of anti-inflammatory drugs as well as immune system suppressors in the form of small molecules and biologics. Available biologics include MAbs targeting specific pro-inflammatory cytokines and integrins. These drugs achieve only partial efficacy, have considerable side effects and drug-resistance is observed in numerous patients. Thus, there is a clear unmet clinical need for new, innovative therapeutic approaches. The global IBD market is growing rapidly and is expected to exceed $10B in 2022 with increased market share for biological agents, specifically therapeutic MAbs. The Company is comprised of individuals with extensive experience in the biotech industry as well as an academic leader in the field of MMPs. Dr. Landstein holds a PhD in Biology from Ben-Gurion University (Be’er Sheva, Israel). Over 15 years of managerial experience in the Israeli biotechnology industry with extensive experience in the field of MAb development. Former VP of R&D at ProtAb as well as various leadership positions at Procognia, Compugen, and XTLbio. Dr. Rabinovich holds a PhD in biology from Tel Aviv University. Experienced in therapeutic (ALS) antibody research as a former Ph.D student of Prof. Beka Solomon, in collaboration with NasVax. Biotechnology experience from Neurophage Pharmaceuticals, Sepal Pharma and Alomon Labs. Dr. Grossman holds a PhD in biology from the Weizmann Institute of Science. Experienced in metalloproteases research and therapeutic antibody discovery for cancer and fibrosis as a former Ph.D and Post-Doctoral fellow in the laboratory of Prof. Irit Sagi. Professor in the Department of Biological Regulation and Dean of Feinberg Graduate School at Weizmann Institute of Science (WIS, Rehovot, Israel. PhD in Biophysics/ Bioinorganics from Georgetown University. She was a Postdoctoral Fellow in the group of Prof. Ada Yonath, laureate of the 2009 Nobel Prize in Chemistry at WIS, then at the Max-Planck Institute in Berlin, Germany. Recipient of several awards for outstanding performance and chair of several scientific organizations.